Because of recent personal challenges in her life, Cindy Miller submitted her resignation as vice president so she can focus on these matters. Steven King has taken over Cindy’s position as vice president and Josue Vaglienty is now fulfilling the duties of treasurer. It has been a pleasure serving with Cindy on the board of ASCE Orange County (OC) Branch and she has encouraged us to develop activities to create more opportunities for our members to network. The OC Branch is going to continue to implement her vision of having more social events. Until recently, the OC Branch’s networking activities have generally been limited to ½ hour before our monthly luncheons or 1 hour before our two annual dinners for members to interact with each other. In addition, the only major opportunity for students, younger members, experienced members, and life members to talk with each other is at the OC Branch History & Heritage and Student Fellowship night. We are addressing this in several different ways. We have revised our programs and removed the limitation of one field trip a year. This decision was based on a survey we sent out to a select group of experienced members and discussions with younger members. 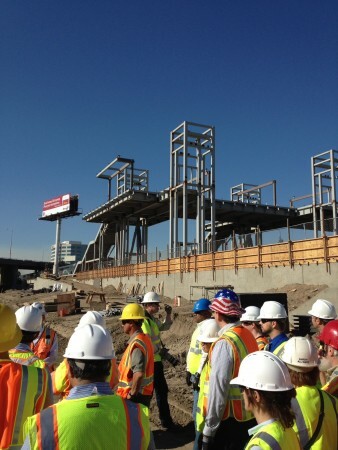 This year the OC Branch took our members on five field trips. 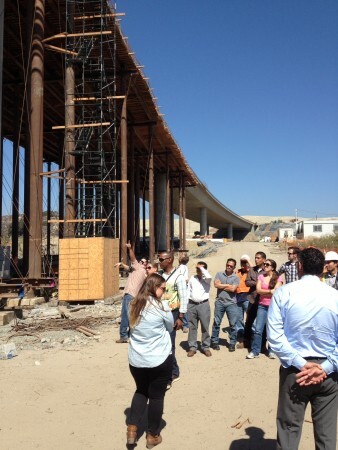 We toured Villa Park Dam with EWRI OC, ARTIC, Coyote Canyon Landfill, Cow Camp Road, and Limestone Canyon. Three of the five field trips were sold out. We were also happy to see members who have been inactive, new faces, life members, students, and younger members at each of these events. The OC Branch is considering some additional new programs this year and would welcome input from our members. The OC Branch’s December meeting this year will be a mixer at Bistango in Irvine. We are hoping this event will be a kick-off to starting a social committee that will hold a variety of social events throughout the year and create more opportunities for members to network. Part of the intent of this committee is to have groups of members lead one event a year that they usually do as a hobby. 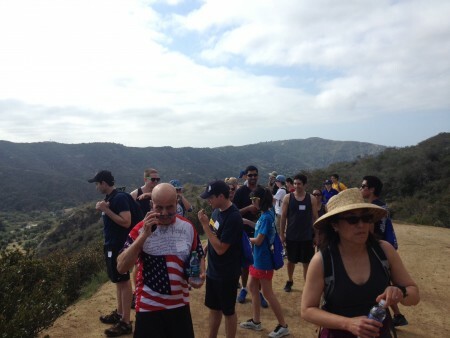 From discussions with attendees at our events we have found we have groups of hikers, runners, and wine connoisseurs. Last year we had a hike to Laguna Coast Wilderness Park with the younger member forum and about half of the participants were students. The nice thing I learned about hiking is that you can network with multiple people during different segments of the hike and the discussions tend to be informal. 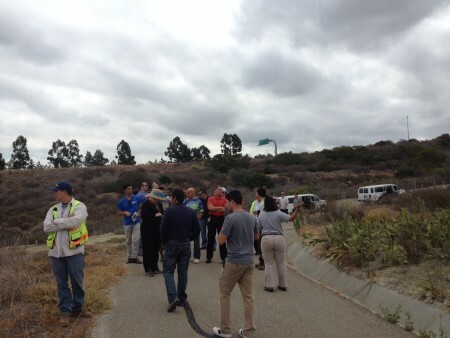 A hike is in the early planning stages for this year and will likely consist of a trail along Peterson Canyon with a short visit at the ASCE OC Branch Local Civil Engineering Landmark located in the park. Last year we also had a jog-a-thon that raised funds for the student chapters, which we plan to hold again this year. For the second year in a row OC Branch is partnering with OC YMF on a wine tasting trip to Temecula and this year the event is sold out. We have been working hard over the last 10 plus years to engage with our younger members and encourage our student members to transition to OC YMF members after they graduate. However, we don’t continue this by having activities for members with children so that members can enjoy the benefits of ASCE throughout their careers. 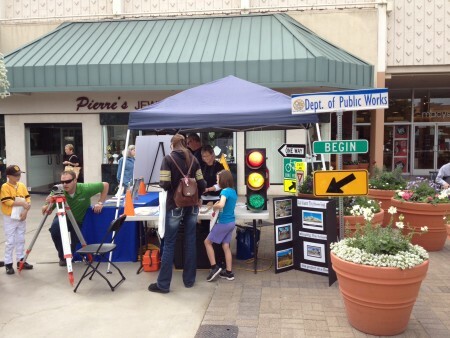 We are currently looking for venues to hold an engineering day at the mall where different companies and groups within ASCE could have booths with activities for children to participate in and learn a little about Civil Engineering. I went to the San Diego Section’s event last February to gather some ideas and we have approached the Irvine Company to see if they are interested in partnering on the event. The idea is to interact with members who have children too and find additional events we can do throughout the years that they can bring their children to. By diversifying the events ASCE OC Branch holds each year, hopefully, we will become an organization where all Civil Engineers feel welcomed and create excitement about the future possibilities. I will consider our efforts a success if we have more life members interacting with student and younger members; have children enjoying participating in Civil Engineering activities; and regularly seeing non-engineers at our events. Another item that Cindy was leading is the redesign of our website. Josh Nelson and past board members did an excellent job creating our website, but at the time mobile devices were not as prevalent. A nice feature of our website is that we can change the look and feel without losing the content we have added over the years. The website is being modified in November to a format that should work well on all devices. The new format is more photograph based and we will be looking for members to share images of Orange County’s infrastructure so we can improve the look and feel of the website. We are trying a more minimalist look so the website is not as cluttered and easier to navigate. The Branch website (ASCEOC.org) has a new look!